hi, could anyone ID these for me please. The tall plant I initially thought was a weed but looks too statuesque to be a weed! The pale pink in the foreground. 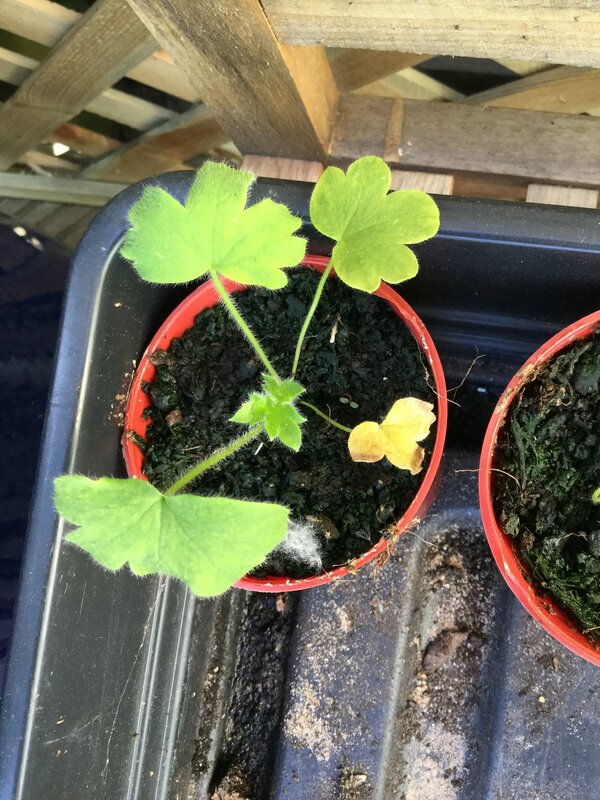 The seedling in the pot I grew from seed but can’t remember what it is. The other two seedlings are coming up all over a new piece of lawn I’ve recently dug over to make a new border. They look like cosmos to me but I didn’t think that cosmos self seeded. Any help would be appreciated. 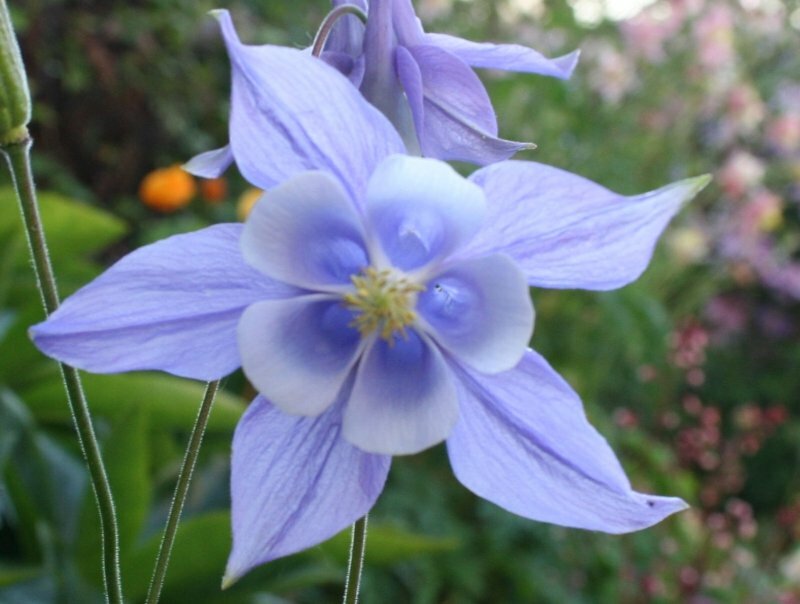 1) Delphinium seedling - grow on until it's a strong plant before planting out or the slugs will chomp it overnight! 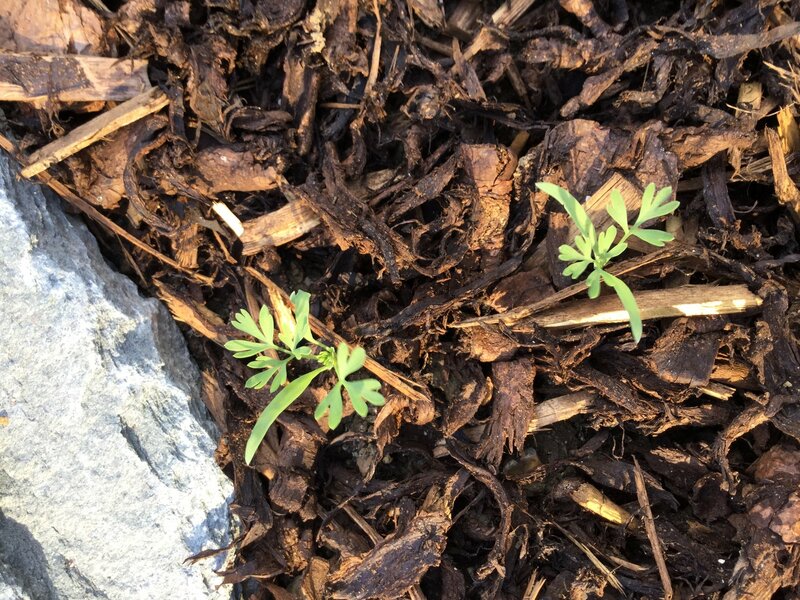 2) Possibly Californian poppy (Eschscholzia californica) seedlings. 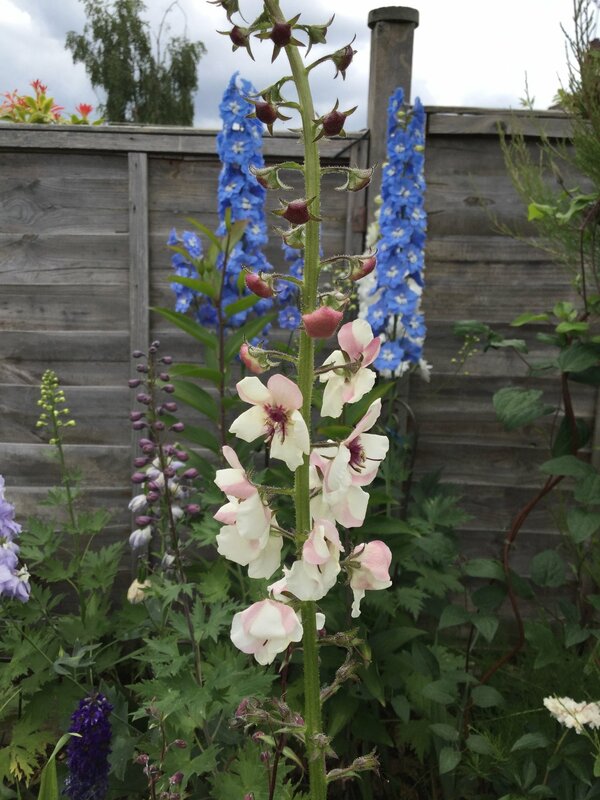 3) Delphinium on the right, not sure about the one on the left. 2nd pic could be fumitory, which some would call a weed. It grows a few inches tall and has small purple flowers. 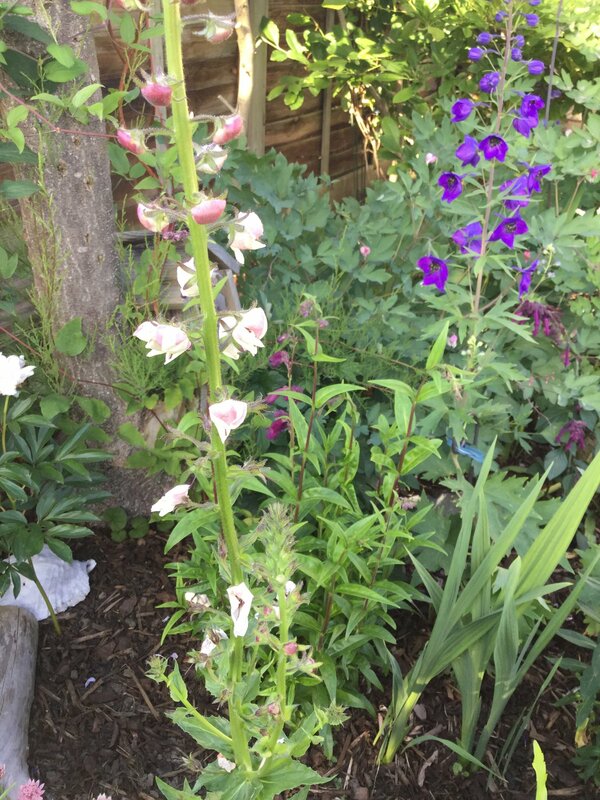 Good to know it’s a delphinium. I did try and grow some from seeds so hurrah! I meant the two seedlings might be fumitory.